Mrs Dundee started a thread last night asking "Does anyone else Like Cider"? Well I do and so do lots of my friends. This thread inspired me to give it a go and make some. 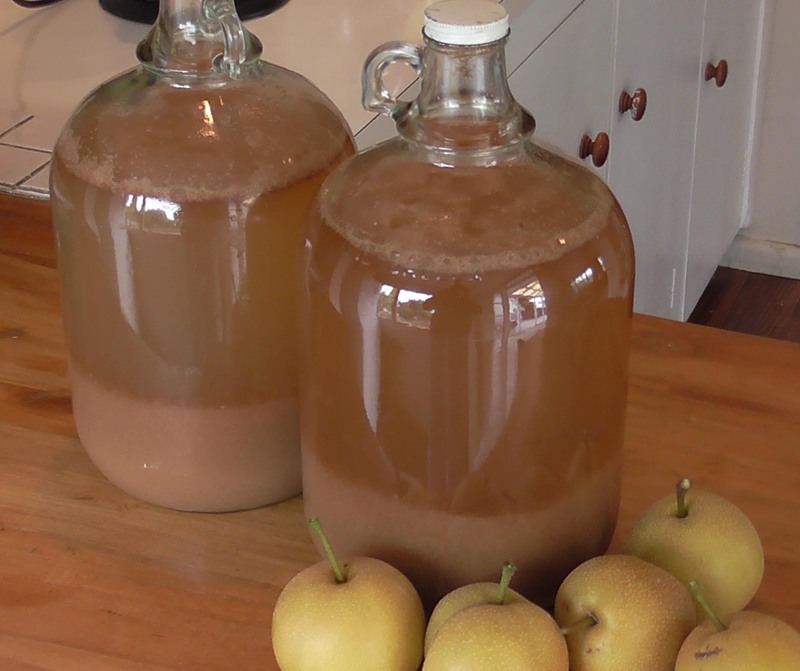 I have made apple cider before with my Poppa but that was a couple of decades ago and to tell the truth I really didn't pay too much attention other than it was bloody nice to drink. I currently have a Nashi tree loaded down with ripe fruit just perfect for making some cider. So this morning I picked three shopping bags full (one and a bit branches) of Nashi from my tree and juiced it. End result was 2 1/2 bags of fruit makes two gallons of juice with some Nashi left over for lunches next week. Next step is to add the yeast, fit air locks, and see what happens over the next couple of weeks. Raging Bull, veitnamcam, Munsey and 4 others like this. You could be on to something there Pete. Then again it might also strip paint. Rich007 and Boulderman like this. Are you going to filter it at all or keep it old school? What yeast are you using? Might have been worth a boil first to make sure it was clean? Yes, best to boil it, cool it and then pitch the yeast. 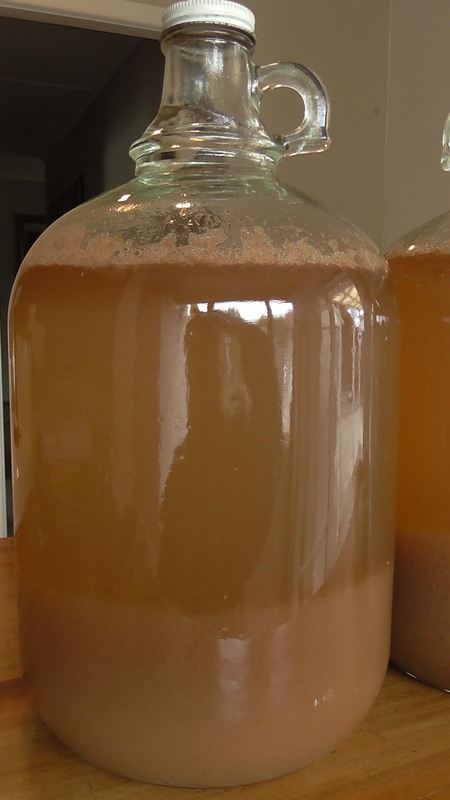 If you are using dry yeast, probably best to hydrate it first before you pitch. You don't want any funny bugs ruining all that juice. Last edited by Raging Bull; 02-02-2014 at 01:49 PM. Got the juice on ice at the moment. Will heat treat it to kill any wild yeast or moulds and pitch it with yeast tomorrow when the brew shop opens. I'm not sure what the best yeast to use is, I'm open to suggestions. Probably depend on what's available too. As for filtering .......... If you cant see any bits floating in it then it's not really a cider is it? That's what I thought as well Pengy. I'll see what the store has. Fitted the air locks and sat back and waited. 1st stage of fermentation should take about a week. Raging Bull, veitnamcam and Toby like this. Which suggest a finished alcohol content of around 6-6.5% could be achieved. That sounds very interesting p38 with the nashiepears they are yummy 4 a start,so your cider will be even yummer.